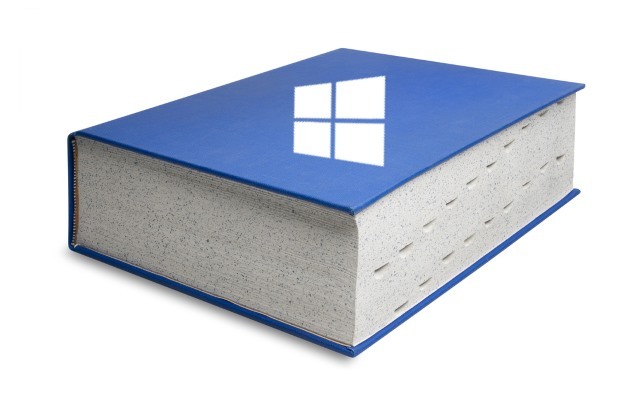 Windows 10 has been with us for a number of months now, and this has given us plenty of time to unearth all manner of secrets about the operating system. Since launch we have experienced love, hate and everything in between, but we've also learned a great deal. We thought it would make sense to pull together all of this info into one place so you have it available in a handy respository. So what will you find here? Everything! In the days of Windows being a paid-for OS, people would hunt high and low for cracks and serials to bypass activation. Now that Windows is free, this clearly isn't as prevalent as it used to be, but you might still want to look up your Windows 10 product key before you reinstall. But that's just the start; read on to learn tips, tweaks, hacks, and problem fixes. If you upgraded to Windows 10 rather than performing a clean install, you may be wasting valuable hard disk space. This might not be quite as much of an issue as it would have been years ago, but the popularity of SSDs means that smaller capacity drives are increasingly common. Whether you're rocking an SSD or you just like to be neat and tidy, a quick disk clean-up could be just what the doctor ordered. You might be wondering how to perform a clean installation, in which case you will found our guide helpful. Creating a bootable USB drive or bootable DVD is one of the best ways to perform and upgrade or reinstallation. But, of course, not everyone is completely in love with Windows 10. You may have tried it out for a while and decided that it's not for you; if you want to uninstall Windows 10 and roll back to Windows 7 or Window 8.1, you can do just that! Assuming you have decided to stick with Windows 10, you can make life a little easier by opting to automatically log into your account -- great if you are the only person who uses a particular computer. Getting into Windows faster is what every user is looking for, and automatic login is not the only thigs you can do to accelerate the process. You can also enable 'fast start-up' to speed things up a little more. A lot of people have experienced a variety of problems with Windows 10. If you have an issue with fonts looking blurry, the fix could be as simple as tweaking your DPI settings. Issues with sound in Window 10 appear to have been particularly common. If you're having sound problems take a look at the suggestions we've covered for fixing them. Microsoft also has a range of Windows 10 troubleshooting tools which can help out in number of situation, an we've shown you how to fix some of the operating system's worst problems. Who doesn’t like unearthing a secret? We certainly do, so we were happy to stumble across a secret screen recording tool in Windows 10 that can be used to record much more than just game footage. Keeping Windows up to date is important, and there are things you can do to ensure that you are completely in control. Don't forget to check out the Windows 10 update history site so you know exactly what each update has done to your computer. No article about Windows 10 would be complete with touching on privacy and telemetry. This is something we've looked at quite a lot in recent month, and if you're concerned about your privacy there are steps you can take to lock things down. A little, at least. While you're at it, you might want to prevent the appearance of lock screen ads.